Home Healthy Moms	What Is Multiple Sclerosis (MS)? Multiple sclerosis is a condition most of us have heard of, but what is it exactly? Multiple sclerosis (MS) is an autoimmune disease in which the body’s own immune system attacks myelin, the fatty substance that surrounds and insulates nerves and nerve fibers in our central nervous system (i.e., the brain and spinal cord). The damaged myelin forms scar tissue (sclerosis). When the myelin sheath and/or nerves are damaged, normal communication between the brain and spinal cord is disrupted. Although MS can affect children and older adults, most people are between the ages of 20 and 50 when diagnosed; MS is 2 to 3 times more common in women than men. This means many women learn they have MS when they may be trying to start a family. MS can occur in any race or ethnic group, but it’s more common in white people (particularly those of Northern European ancestry) and in Europe, United States, Canada, New Zealand, and some parts of Australia. There’s still a lot unknown about who develops MS, but family history and genetics can play a part. Having low-levels of Vitamin D and being a cigarette smoker have been shown to increase MS risks. Multiple Sclerosis can cause symptoms like blurred vision, loss of balance, poor coordination, tingling, slurred speech, tremors, numbness, extreme fatigue, problems with memory and concentration, depression, paralysis and blindness. These vary from person to person and may come and go, or persist and worsen over time. One person with MS may not have any visibly noticeable symptoms, and another person may lose their ability to walk. Like many other autoimmune diseases, MS is often hard to diagnose. It’s not unusual for it to take months or even years to gain an accurate diagnosis. Still today, there are no specific symptoms, physical findings or one special laboratory test that can confirm for sure that a person has MS.
Care providers may perform tests like a neurological exam, an MRI (to look for damage and inflammation) or a spinal tap (to test the fluid around the spinal cord). Blood tests can also be used to rule out other conditions, such as Lyme disease or a severe vitamin B12 deficiency. Most people who have MS are cared for by a neurologist, a physician specializing in diseases affecting the central nervous system. Fortunately, there are many treatments available today that can prevent disability and keep a person quite well while living with MS. But since every person’s experience with MS is unique, there are still many people who will need the help of a cane or a wheelchair. Managing MS may include getting enough rest, reducing stress, exercise, physical therapy, vitamin supplementation and prescription medications. There is no cure for MS, so medications are used to modify the course of the disease (and prevent disability), treat relapses and make symptoms easier to live with. If you have MS, it’s critical to stay strong and healthy—eating well, resting and listening to your body when it says to slow down! MS doesn’t cause infertility or affect your fertility—women with MS can have healthy pregnancies, labor, birth and healthy babies. If a woman with MS doesn’t have a significant disability, her childbirth experience should be no different from a woman without MS. All forms of anesthesia (including an epidural) are safe for women with MS.
Until you’re ready to start a family, discuss family planning or contraception with your neurologist, obstetrician or nurse. Most neurologists will recommend that medications for MS be stopped when trying to get pregnant. If there are relapses, these are usually treated with steroids, which are allowed during pregnancy. As with many other autoimmune diseases, most women with MS feel very well when they’re pregnant—some even better than before! The suspicion is that MS symptoms are improved or affected by hormones; however, the risk of a relapse in the postpartum period is estimated to be 20%–40%. In long-term studies, though, women with MS who had children didn’t have any increased disability because of pregnancy. Disease-modifying drugs are not recommended for breastfeeding moms, as these could hurt the baby. A woman with MS may need to consider holding off on restarting these medicines. Another option is donor breastmilk. Regardless, she should discuss these issues with her nurse and primary care provider during her pregnancy, before her baby is born. Clinically Isolated Syndrome (CIS) is a first episode of neurologic symptoms caused by inflammation and myelin damage. 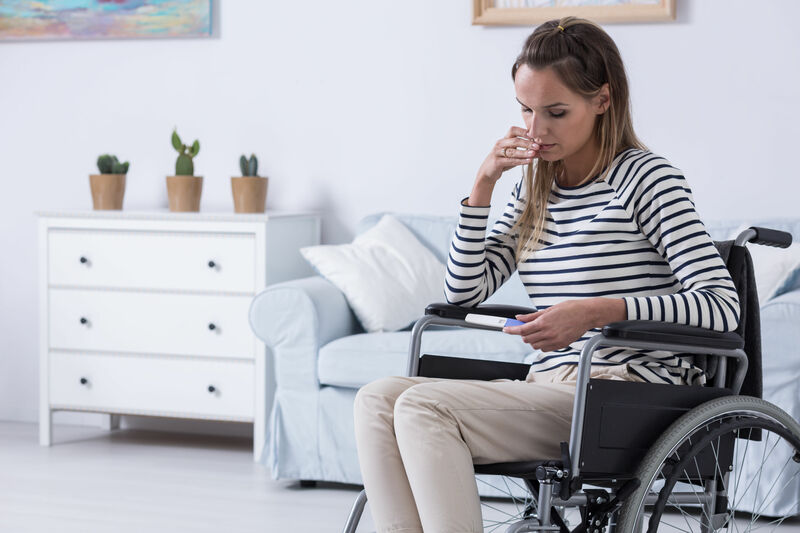 A person who has a CIS may or may not develop MS.
Relapsing-Remitting MS (RRMS) is the most common, characterized by clearly defined attacks and partial or complete recovery after an attack. Approximately 85% of people with MS are initially diagnosed with RRMS. Primary Progressive MS (PPMS) is a worsening disability over time from the beginning, without early relapses or remissions. Approximately 15% of people with MS are diagnosed with PPMS. Secondary Progressive MS (SPMS) starts as RRMS but worsens over time. Most people with MS don’t become severely disabled, and life expectancies for people living with it are increasing.